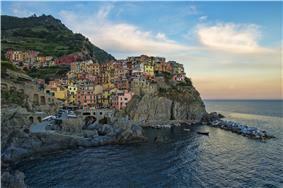 The Cinque Terre (Italian pronunciation: ) is a rugged portion of coast on the Italian Riviera. 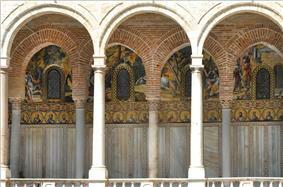 It is in the Liguria region of Italy, to the west of the city of La Spezia. 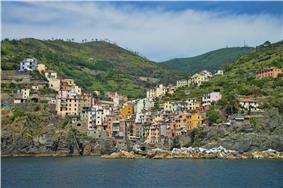 "The Five Lands" comprises five villages: Monterosso al Mare, Vernazza, Corniglia, Manarola, and Riomaggiore. The coastline, the five villages, and the surrounding hillsides are all part of the Cinque Terre National Park and is a UNESCO World Heritage Site. 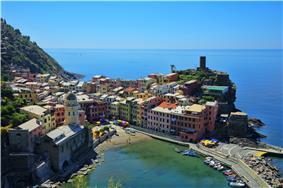 The first historical documents on the Cinque Terre date back to the 11th century. Monterosso and Vernazza sprang up first, whilst the other villages grew later, under military and political supremacy of the Republic of Genoa. In the 16th century to oppose the attacks by the Turks, the inhabitants reinforced the old forts and built new defence towers. From the year 1600, the Cinque Terre experienced a decline which reversed only in the 19th century, thanks to the construction of the Military Arsenal of La Spezia and to the building of the railway line between Genoa and La Spezia. The railway allowed the inhabitants to escape their isolation, but also brought about abandonment of traditional activities. The consequence was an increase in poverty which pushed many to emigrate abroad, at least up to the 1970s, when the development of tourism brought back wealth. The variation of house colors is because while fishermen were doing their jobs just offshore, they wanted to be able to see their house easily. This way, they could make sure their wives were still home doing the wifely duties. Most of the families in the five villages made money by catching the fish and selling them in the small port villages. Fish was also their main source of food. There are few roads into the Cinque Terre towns that are accessible by car: the one into Vernazza is open as of June 2012, but very narrow at many repair spots. It leads to a parking area half a mile from town. It is best to plan not to travel by car at all, but to park at La Spezia, for instance, and take the trains. Local trains from La Spezia to Genoa and the rest of the region's network connect the Cinque Terre. 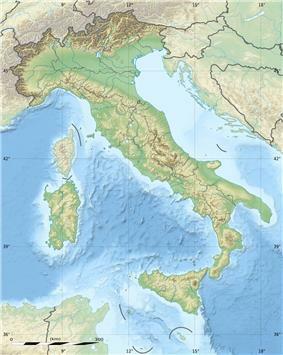 Intercity trains also connect the Cinque Terre to Milan, Rome, Turin and Tuscany. The Cinque Terre tracks run most of the distance in tunnels between Riomaggiore and Monterosso. The Cinque Terre trains connect the La Spezia train station to all five towns. Unlimited day passes are available for tourists, and the trip from one village to another is five minutes or less. A passenger ferry runs between the five villages, except Corniglia. The ferry enters Cinque Terre from Genoa's Old Harbour and La Spezia, Lerici, or Porto Venere. A walking trail, known as Sentiero Azzurro ("Azure Trail"), connects the five villages. 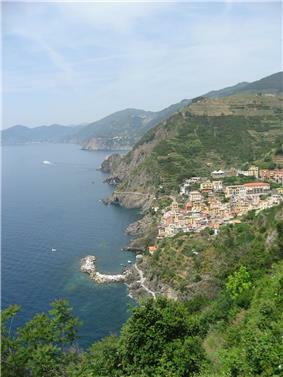 The trail from Riomaggiore to Manarola is called the Via dell'Amore ("Love Walk") and is wheelchair-friendly. The stretch from Manarola to Corniglia (still closed in June 2012 for ongoing repairs since the October 2011 damage) is the easiest to hike, although the main trail into Corniglia finishes with a climb of 368 steps. Given its location on the Mediterranean, seafood is plentiful in the local cuisine. Anchovies of Monterosso are a local specialty designated with a Protected Designation of Origin status from the European Union. The mountainsides of the Cinque Terre are heavily terraced and are used to cultivate grapes and olives. This area, and the region of Liguria, as a whole, is known for pesto, a sauce made from basil leaves, garlic, salt, olive oil, pine nuts and pecorino cheese. Focaccia is a particularly common locally baked bread product. Farinata, a typical snack found in bakeries and pizzerias, is a savoury and crunchy pancake made from a base of chick pea flour. 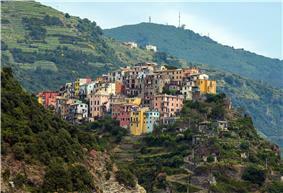 The town of Corniglia is particularly popular for miele di Corniglia, gelato made from local honey. In 1998, the Italian Ministry for the Environment set up the Protected natural marine area Cinque Terre to protect the natural environment and to promote socio-economical development compatible with the natural landscape of the area. 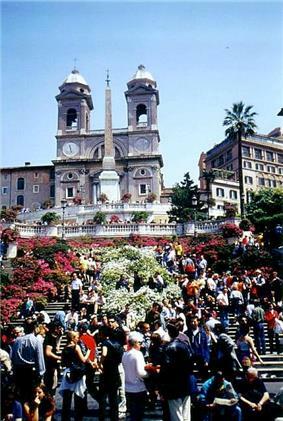 In 1999 the American Express to support a study of the conservation of Cinque Terre. 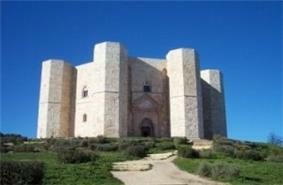 Following the study, a site management plan was created. ^ Squires, Nick (26 October 2011). 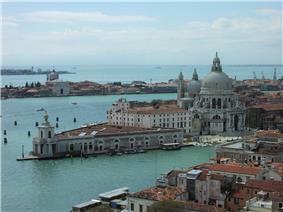 "'"Villages all but wiped out as storms batter Italy's 'Cinque Terre. ^ Steves, Rick. "Italy's Riviera: Cinque Terre". Rick Steves' Europe. Retrieved 2 September 2015. 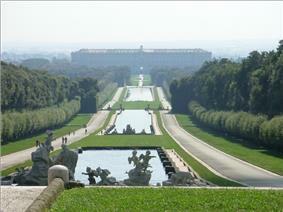 ^ "Situation of the walking paths" (in Italian). Parco Nazionale Cinque Terre. 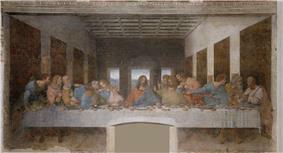 25 June 2012. Retrieved 6 August 2012.